As hard as it is for me to believe, 2018 was my fifteenth year of being a "serious" runner, and my twelfth consecutive year of running 3,000 or more miles per year. I ran my first marathon in 2004, my first ultra in 2005 and my first 100-miler in 2007--and since that time it's mostly been a fun ride. I hit my peak in 2008 and 2009, not only in terms of race performance with a few nice wins but also in training output with years of 4,000 miles. It seemed back in those years I could tear myself to pieces at the track and then the next day wake up feeling fresh as a daisy and ready for the next workout. My body gave me so much in training and races and it was fun. But it wasn't just physical. I had the killer instinct and was willing to suffer...a lot. I am now a bit older and 2018 has been a year that, quite honestly, I hoped would never happen. 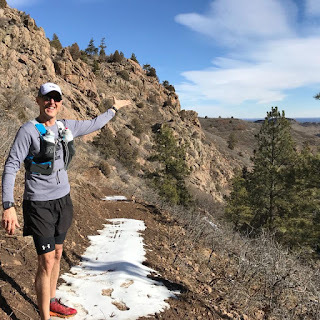 As the year comes to a close, I'm not sure I can or will continue my ultra running, at least in 2019. Whether or not I'm burned out, I don't know. Since the late summer, the story has been this: If I feel the fire, usually it's fleeting. I am going into 2019 having not registered for a single 100-miler or even a lottery--a first for me. I did register for the North Fork 50K--a race I really love. 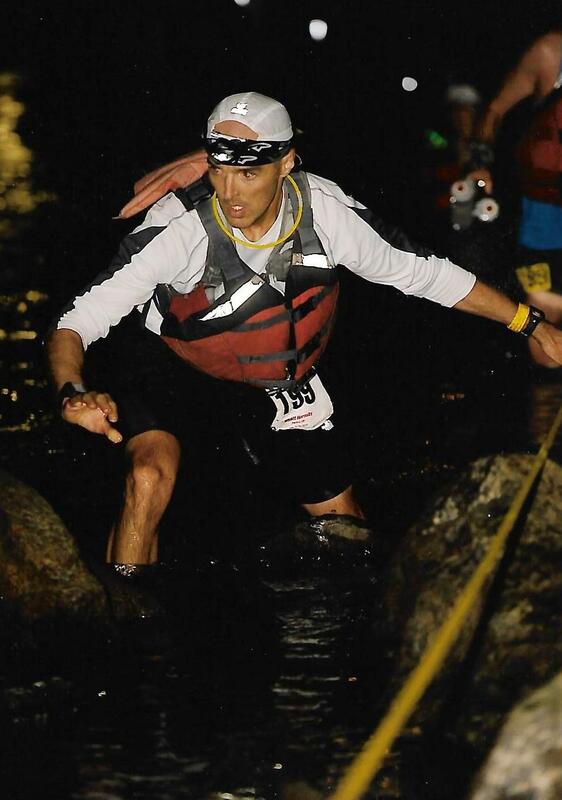 I am eying a return to the Burning River 100 in July. Although the Burning River course has changed a little since I last ran it in 2007, I still know the course quite well--it is flat and fast, which I like. Burning River is also a beautiful course that runs point to point. I love the idea of going back to Cleveland. But Burning River remains a question mark as I am still not sure I want to train for another 100-miler. I have been running ultras long enough to know you should NEVER register for a 100 unless you are all in. In addition to having to be all in, another ground rule for entering a 100 is that it must be a race I can train for off my doorstep. It can't require that I drive the 45-60 minutes it takes to get to the foothills and mountains here in Denver. If my schedule were to allow for a half-day in the mountains, then great. 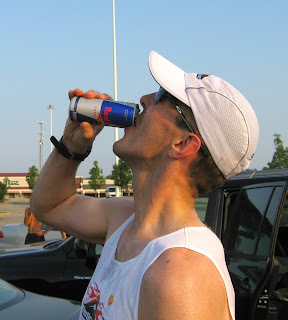 But a race can't require that I do that--it can't "force" me into anything (which is why I've retired from Leadville). I am more aware than ever before that my son is growing up fast and that the responsibilities I have as a dad are not just about quality but also quantity. With parenthood, quantity counts, too. The experts who say parenting is all about quality are lying. Yeah, quality is the most important thing, but you have to be/should be there a lot, even for the mundane stuff that in the end adds up and counts. I want to be there. I have a busy job that requires a lot and so I can't just keep piling on other responsibilities that cut into my ability to be there for my family--to deliver on not just quality but also quantity. I do still love the trail! Photo by Mike Wilkinson. I am still in love with the idea of 100s. I'm still very much in love with the outdoors. Last week, we spent three days at Copper Mountain skiing and I couldn't get enough of the feeling of being on top of big mountains. I'm just not sure I'm in love with the 100-mile training process anymore. I do feel that if I got in really good shape for Burning River, meaning I had the time to do so and also go through the training injury-free, I could run below 20 hours and possibly contend for a top-10 spot. But then I have to check those notions at the door because the reality is that I have not finished a 100 in a few years. I have also lost a lot of speed--speed that I feel I can partly restore. But it's not just speed; it's also strength. My legs now ache on long runs. I'm in really good shape, but not in ultra shape (anymore). I need to get stronger. I do know from years of experience that winters are always a grind for me. Once April rolls around, I will be feeling MUCH better and the fire may re-light. The quote above from Apollo Creed, albeit a fictional character from the Rocky movies, does really speak to me. I do see myself as a warrior, and I need some challenge out there to stay hungry. It is hard for me to envision a year of no "challenges." What challenges I take on...I just don't know (yet). This time of year I get lots of questions from folks interested in taking up running. It is exciting to see folks interested in running. Many have done "research" and are gathering information before they actually start running. Questions are often about shoes, frequency of workouts, how to balance the demands of life, etc. Here is my straightforward advice based on 10 FAQs I get. As you will see, I am trying to keep this simple. What shoes should I wear/get? Whatever you have and whatever feels comfortable. How should I build up my fitness? By going for a run today. Then tomorrow. Then the day after tomorrow. And so on. Keep repeating. How often should I run a week? As often as you want. How do I balance the demands of life if I start running? I try to make my life simple and I also wake up before dawn to get in my runs. Anyone can do this. How do I wake up before dawn every day and keep that sustainable? By getting out of bed when the alarm goes off and then going to bed by 9 so you can get in adequate sleep. What do I do if it's super cold outside? Wear layers. As the saying goes, there's no such thing as bad weather; only bad preparation. What if it's dark outside? Bring a light. Should I stretch? If you feel tight. What should I eat? Fuel that is close to the source. What should I drink? Water. Well, 2018 is off to a great start on many fronts for me, including getting a ticket to this year's Leadville Trail 100-Mile Run! 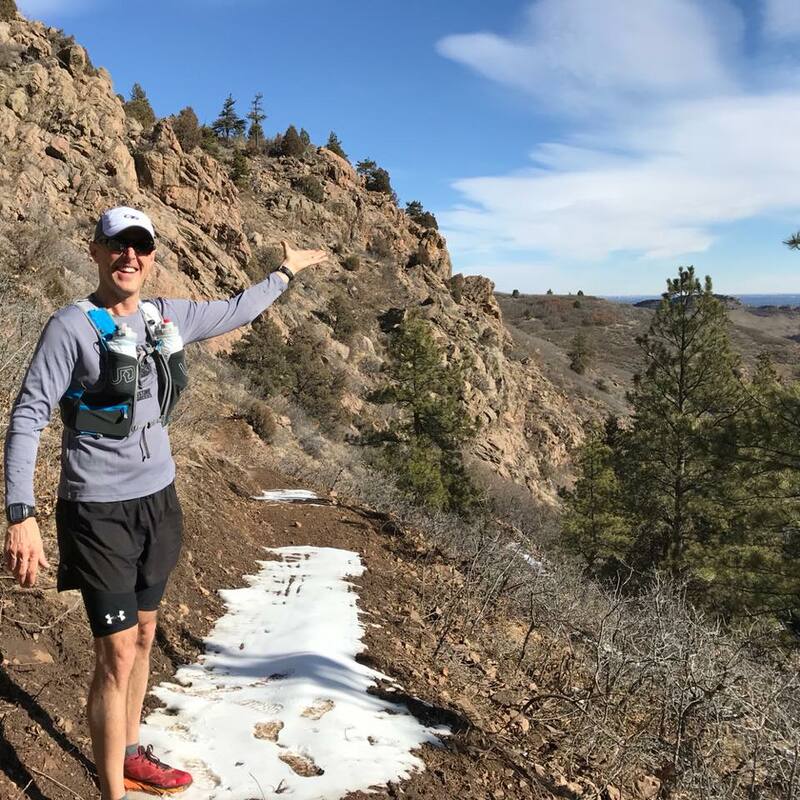 As is evident from this blog, Leadville is very special to me, and I'm thrilled to get the opportunity, yet again, to answer the epic challenge of racing 100 miles up in the Rocky Mountains this August. Last year's race was such a bummer on many levels, including my bad knee, and I am eager to get back at it and get another hard-earned finish. My goal all along has been to finish the Leadville 100 ten times and earn the 1,000-mile buckle. At this point in my life, I am more inclined to take things year by year versus making big personal declarations. I would love to earn the 1,000-mile buckle one day but I would rather focus on the journey instead of the destination. Right now, I'm focused on finishing Leadville in 2018, which would bring me six finishes. This is going to be an especially busy year on the work front, so I don't anticipate being able to get to the mountains a whole lot to train--definitely once a week and, if I'm lucky, twice a week. I will do what I can and make do with what we have here in Parker, hills and all, along with life at 6,200 feet. That said, I am confident my mileage will be very solid (as it always is). In the end, if I'm limited in my ability to get to the mountains more than once a week, I will compensate for it by running more miles and keeping a good focus on quality. Speaking of quality, I have continued to hit the mile repeats every week. I am finding that I can run in the 5:40s range for my first and second mile repeats but then lose some steam on the third. I know in my head I should back off a bit in the first, allowing me to hit the second and third repeats with 100% effort. I am working on that. It's not easy to hold yourself back when you're feeling fresh! In the early spring, I will start to incorporate tempo runs into my routine, so every week I'll be doing mile repeats and tempos. All of that should set me up well for my core Leadville training during the summer months. The schedule for 2018 as of now includes the very down-home, old-school-feeling North Fork 50K on June 2 and the Leadville 100 on August 18. Unfortunately, I will not be able to participate in the Leadville Trail Marathon or Mount Evans Ascent due to family commitments. 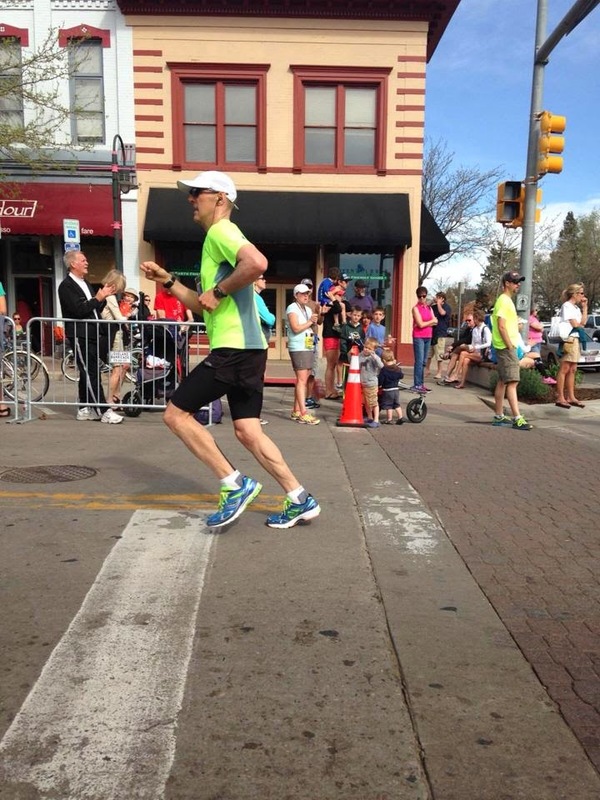 I would like to add another event or two--potentially the Colfax Marathon. I might also pace a buddy at the Western States 100 if I can pull it off schedule-wise (big if at this point). A few days ago, I read a disparaging Facebook comment about the Leadville 100. Someone didn't get into the race and another poster commented--opined, I should say--that it's not a great race anyway since it's "corporate-owned." While it's true the Leadville 100 is currently owned by Lifetime Fitness, the race does not in any way feel "corporate-owned" to me. For starters, many of the aid stations are staffed with volunteers who have been a part of the Leadville 100 for years and, in some cases, decades. These volunteers help make Leadville what it is: an epic race with 35 years of rich, colorful history. Plus, the race is always well-attended by thousands of supporters, many of them there to crew for runners but others on hand just to take it all in. All of these supporters add an electric feel to the Leadville 100. Unless you have been up to "Cloud City" on race weekend, you cannot imagine the electric atmosphere. Then you have Ken and Merilee, who started it all in 1983. They are still intimately involved, ensuring that the experience remains authentic. For example, just as she always has, Merilee is still there at the finish to hug every runner crossing the line. Ken still gives the always-powerful pre-race pep talk and you learn all about how the Leadville Legacy Foundation is tangibly benefiting the community and especially graduating seniors at Lake County High School. Also, the town.... What else to say about the town of Leadville except that it's as authentic as it gets. It's the anti-Aspen (not that I don't like Aspen; I do, especially the Maroon Bells) in that Leadville puts on no airs and is the opposite of elitism (though the views of the Sawatch Range are elite in my book). You go there to enjoy a real mountain town with real people...along with world-class coffee and pizza (among other awesome things). 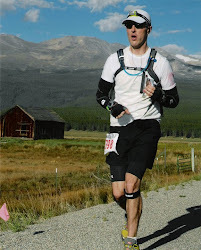 In a very real sense, at least to me, the Leadville 100 today is still just as authentic as it was ten years ago. 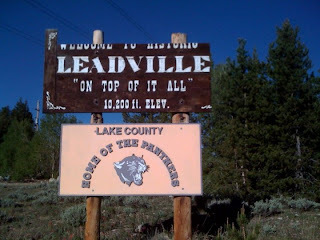 The cheap skepticism of some because Leadville is "corporate-owned" and the 2013 race had some issues (that have since been addressed) is just that--cheap. Leadville continues to offer runners a very unique experience that they will never forget. It is a world-class race that oozes history and will push you to the very edge of your perceived limits. Situated at 10,200 feet, within close proximity of some of the world’s premier ski towns (Vail and Aspen to name a few), Leadville is the highest incorporated city in North America. Its winters are brutal and its summers fleeting but epic as the mountains clear of their deep snow, inviting hikers, runners and adventurers to take on some of the finest alpine trails in the world. Towering over the town, now home to some 2,700, are among the most spectacular mountains in the lower 48 states, including the two highest peaks in Colorado, Elbert and Massive, each at over 14,400 feet and often snow-capped into July. The Sawatch Range features 8 of the 20 tallest peaks in the Rocky Mountains. For endurance athletes worldwide, the allure of Leadville isn't just the mountains; it's also the city itself. The town oozes its storied history. In its heyday, Leadville was known for its gambling and hard living, once growing to a population of 18,000. It attracted some of the most notorious of characters, from Doc Holliday to Wyatt Earp. In those days, Leadville was among the wealthiest towns in Colorado—a bustling mining community and silver mecca two miles in the sky. Fortunes were made and lost in this “boom and bust” town. This extraordinary history is captured in the National Mining Hall of Fame & Museum, established in Leadville in 1977. The city boasts a beautiful opera house, built in 1879 by Horace Austin Warner Tabor, who was Leadville's first mayor and made millions in the mining business. If you're from Leadville or even Denver, the names Horace Austin Warner Tabor and Baby Doe Tabor are quite familiar. They both sadly died broke. Baby Doe froze to death in their Matchless Mine—emblematic of the town’s “boom and bust” reputation. In 1895, to help breathe some life back into the Leadville economy, local residents constructed a huge ice castle. Standing some 90 feet tall, the 58,000-square-foot ice castle attracted over 250,000 tourists. Living in Leadville got progressively harder as the 1900s progressed. The repeal of the 1928 Sherman Silver Purchase Act delivered a dagger near the heart of Leadville, where silver mining was huge. But the town, sitting atop highly mineralized earth, offered more than silver. It had lead and zinc, and plenty of it. The Leadville economy survived the repeal of the Sherman Act, with its reputation intact. During World War II, soldiers at nearby Camp Hale, home of the super-elite Tenth Mountain Division, were discouraged from going into downtown Leadville, where prostitution, drinking and general carousing were rampant. But then in the early 1980s, disaster struck. In 1982, the hulking Climax mine just outside the town started undergoing a closure. The mine was a major source of molybdenum, used to strengthen steel, which was a big need during the Cold War. The Climax mine was the world's largest “moly” mine, supplying about three-quarters of the international supply and lots of well-paying jobs to Leadville residents. The Climax mine's closure brought economic and social disaster to Leadville. The town faced a dire future. A majority of Leadville residents worked at the mine and now, with the gates closing, faced uncertain—indeed dire—futures. In this small mountain town, employment options were limited, and so the town plunged into economic and social despair, with over three-quarters of residents now out of work. Alcoholism surged. Marriages fell apart. Some residents even fled. Then, in 1983, an unemployed hard rock miner had a crazy idea for Leadville’s future. His name was Ken Chlouber. Instead of letting Leadville disintegrate into another Colorado ghost town, he asked, why not take advantage of the surrounding rugged beauty and mountain trails and start a 100-mile foot race that could attract tourist dollars? With few better options on the table, Chlouber and Merilee Maupin founded the Leadville Trail 100-Mile Run. 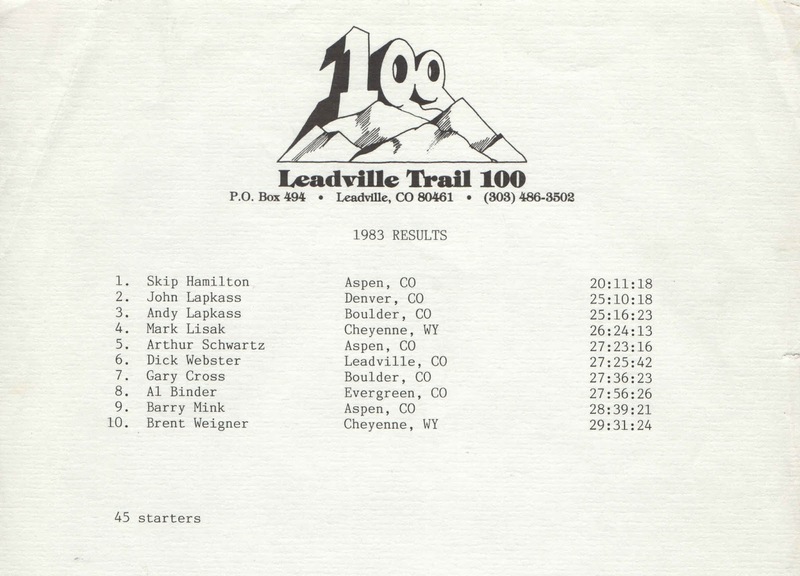 When you consider that the Leadville 100 was only the third 100-miler at the time of its founding, such a course was unprecedented...and seen as downright dangerous. "You'll kill somebody!," the town doctor said to Chlouber when learning of his plans. Chlouber's retort? "We'll be famous then." Consider for a moment that the first 100-mile run, Western States, while breathtakingly challenging with its steep, deep canyons, extreme heat and 42,000 feet of combined elevation change, had a maximum altitude of "only" 8,750 feet. The second 100-miler, Old Dominion in Virginia, while no cake-walk by any stretch, was at sea level. What Chlouber and Maupin created in their "Race Across the Sky" was truly a monster in the Colorado Rockies. But their creation was also economically advantageous to the town. Because of the depth of the challenge, runners and their crews would have to stay in town, bringing economic benefits to the community and surrounding area in the way of lodging, food and tourism dollars. The first race was held August 27-28, 1983, with only 10 of the 45 starters finishing what was at the time billed as a "challenge." Skip Hamilton, who would go on to finish--and win--three more Leadville 100s, broke the tape in the inaugural race with a time of 20 hours and 11 minutes. Today, the Leadville 100 is the largest such race in the country in terms of finishers. In addition to putting on every race with Maupin from 1983 to 2010, Chlouber finished the 100-miler 14 times. His son, Cole, has finished the 100 four times, most recently in 2016. With Chlouber and Maupin at the helm, the Leadville 100 quickly grew into one of the world’s premier ultramarathons, known as "The Race Across the Sky." 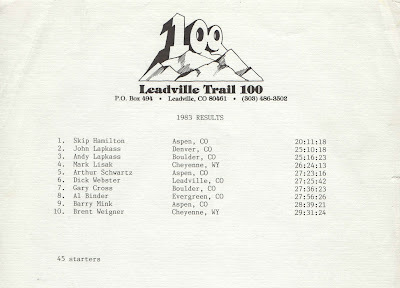 The Leadville 100 has attracted some of the most famous ultrarunners on earth, such as Ann Trason and Matt Carpenter, both of whom still hold the course records for their respective divisions. Looking to do more for the town, in 1994 Chlouber and Maupin created the now-famous Leadville Trail 100-Mile Mountain Bike Race. Like the run, the 100-mile MTB race has attracted the world's top talent, including living MTB legend Dave Wiens. More races, including grueling marathon and 50-mile run and bike events, were also added to create a integrated series bringing tens of thousands of people to Leadville every summer. The Leadman and Leadwoman challenges are for those souls brave enough to attempt to complete all of the events in the series...in one summer. In 2002, as part of their commitment to the people of Leadville, Chlouber and Maupin co-founded the Leadville Legacy Foundation to help support the changing needs of the community, such as through scholarship assistance for graduating high school seniors. In 2010, Life Time Fitness purchased the series. Chlouber and Maupin have remained intimately involved, ensuring an authentic experience for all and supporting the continued growth of the Leadville Legacy Foundation. Maupin is still there at the finish to hug every sweaty runner crossing the line. Despite the meteoric growth of the Leadville Race Series, especially in past decade, the 100-mile run still represents what Chlouber and Maupin have called "the heart and soul" of the race series. Its motto, “You are better than you think you are and can do more than you think you can,” has long-defined the challenge. 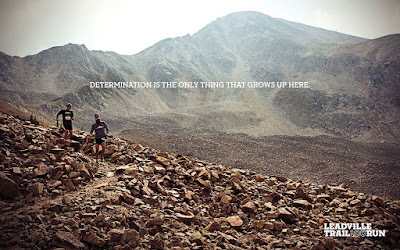 Just about anyone who's experienced and finished Leadville knows those words aren't a platitude; they mean something. You have to believe deep down you will finish. Just as with the hard rock miners of years past, if you dig deep enough, you will find silver and gold—in the form of the race’s famously huge finisher's belt buckle. But you'll find far more. 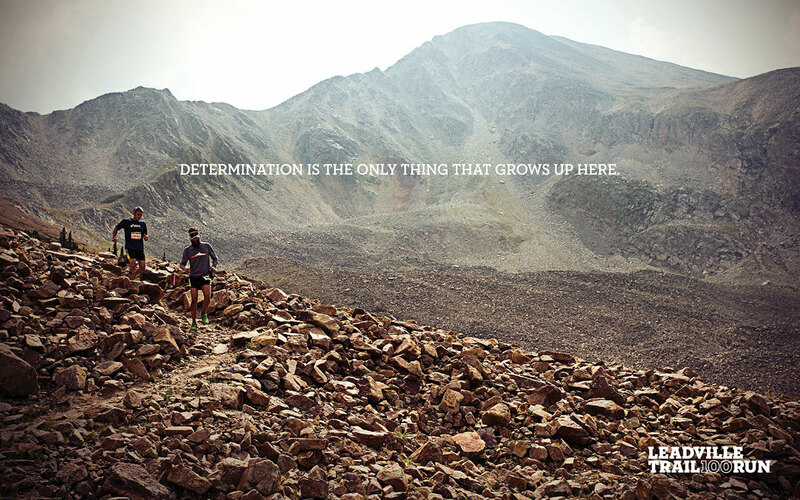 Leadville takes you close to the razor’s edge of your limits and then deep into your own soul. My 2010 buckle. Note the quarter, which is there for scale. In 2010, my dream became a reality when Anne and I took advantage of the opportunity to relocate to a town southeast of Denver, Colorado, where we lived at 6,150 feet of elevation—more than a mile in a sky. When we arrived in Colorado, it was early spring and I still had time to register and train for the Leadville 100. Amid my dreams of running this historic race was hesitation. I was scared, not of the distance but of the mountains and the elevation. Day after day I pulled up the registration page on my computer, never quite finding the courage to register. But then one day I got the nerve to sign up. Just like that, I was in. I had four months to get ready. How did it turn out? Click here. After learning 2017 marked my eleventh consecutive year of 3,000 or more miles of running (just running; daily dog walks not included), a friend asked for the secret to my "longevity." I guess I've never really thought much about my "longevity" because I've never really felt that what I do is all that interesting or groundbreaking. But I guess I am pretty durable and this is because of specific things I do and don't do. Before going further, I do want to offer the following context: At 3,018 miles, 2017 was my lowest mileage year of the past eleven years in large part because of a knee injury in March, which plagued me through mid-May. I figure the knee injury easily robbed me of 100 miles. Add to that my DNF at Leadville, mostly due to my knee flaring up unexpectedly descending into Twin Lakes outbound, and that's another 50 miles I lost in 2017. So my knee easily cost me 150 miles. Were it not for that injury, I'm confident 2017 would have been another 3,200+ mile year. #1: Change out my shoes every 400-500 miles and rotate my shoes. I track the mileage on my shoes and always change them out every 400-500 miles (usually closer to 400 miles). Additionally, I usually have a rotation of 2-3 pairs of shoes and I wear a different pair every day. I never wear the same pair of shoes two days in a row unless I'm traveling (in which case I only have enough room to pack one pair of shoes). When you run, you're impacting your shoes. Giving them a "day off" helps them bounce back for the next run. I am sure some of you think that's BS but for me it's standard practice. By the way, my go-to shoe brand since 2011 has been Hoka One One. Simply put, I don't take many days off. I usually run every single day. Daily consistency, while sometimes feeling myopic, is crucial. I only take a day off if I'm feeling really run-down and/or sick to the point that I have a fever. I feel that moving every day has major benefits as far as injury prevention and overall wellness. Sometimes, if I have a little ache or pain, a run will actually make it feel better. That said, Monday is usually my easy day--I'll log maybe 4-5 miles slow on Mondays without any care for pace. If on a Monday I'm totally trashed from the weekend miles, I may sub in some time on our indoor bike trainer for a run. The key is to move every day. #3: Avoid concrete and opt for the softest possible surfaces. Where we live, it is impossible to totally avoid concrete but I make a conscientious effort to opt for the softest possible surfaces where possible. As I have aged, I have found that long runs on concrete will take a toll on me. So, basically, if you see me on concrete, it's because I'm running on it to get to the next section of trail or dirt road. Pavement is also usually okay for me but dirt is the preference. definitely not close to the source. #4: Eat close to the source. I have no real l diet tricks and am adamantly opposed to "diet cults." Like most Americans, my diet can be up and down, especially over the holidays. That said, by and large, we eat lots of fresh vegetables (we also eat fruit but mostly during the summer), quality proteins, and organic foods. We absolutely do not drink calories--I only have water and coffee with half and half, though after a tough workout I will partake in a homemade green protein smoothie. I try to avoid too many packaged products but I do eat things like bottled salad dressings (even then I keep it simple like balsamic vinaigrette) and veggie chips. If I buy a packaged product, it has to have very few ingredients and I have to be able to pronounce all of them. Added sugar is usually a deal-breaker. Although it is hard to do, I try not to buy anything made by the big food companies because they absolutely do not care about my health. More on this subject here. #5: Get 7-8 hours of sleep every night. Working full-time and being a dad, I wake up every day during the week usually by 4:30 or 4:40 to get in my run before heading to the office. Simply put, Monday through Friday, the pre-dawn hours are the only hours of the day that are truly mine. To ensure this schedule is sustainable, I go to bed every night at 9 'o clock. So that means I'm getting about 7.5 hours of sleep every single night. I never stay up past 9 during the work week because insufficient sleep, over time, is deadly to the runner's adrenal system. This one may seem kind of trite but I love running and I think the positive attitude I bring to running every single day makes a huge difference. It's my passion. Admittedly, there have been some days where my mental outlook was sub-optimal before I left the house but invariably when I'm done with my run I'm in a much better place. Running has had a tremendous impact not just on my physical health but also on my psychological and spiritual health and I think all of that, in turn, has led to my "longevity." I think over-racing is right up there with insufficient sleep as a major trigger of adrenal fatigue in runners. In my younger days, I did race a bit more than I do now, but, overall, I have always maintained what I feel is a responsible race calendar in part because my family and work life leave only so much time. There was a stretch between 2015 and 2016 where I finished three 100-milers in ten months (Javelina 2015, Western States 2016, Leadville 2016) and I remember being really worried about what these races would do to me physically. I got through them but not without realizing that it was a bit too much for me. By and large, I race one 100-miler a year and occasionally two. When I feel tightness, aches and/or pains, I try to address the problem area immediately. If it's a tight IT band, for example, you'll see me foam rolling and stretching. If my knee is a little flared up, I'll ice it. I try not to let injuries get out of hand. I also try to run through injuries where and when possible. I think you can run through many injuries so long as you're not stupid about it and doing all the right things between workouts. That said, I feel like I have a good sense of when an injury is significant enough to warrant time off. This was the case in 2017 when my knee blew up. I took several days off because I realized that hobbling through runs was just really stupid. As far as maintenance, I also take NOW-brand vegetarian glucosamine (I am allergic to shellfish) as well as branched chain amino acids every day. During heavy training, I may also introduce First Endurance Optygen. I have had an on-again, off-again relationship with L-carnitine. While I tend to be very lazy about lower-body weight training, in large part because it puts me in a recovery hole (I'm sure I overdo it when I train my legs), I am pretty good about keeping my upper body well-conditioned and I'm certain this has contributed to my "longevity." I frequently do push-ups and all kinds of dumbbell exercises to keep my arms and shoulders well-conditioned. I have also always been consistent with core training, though in 2017 this was tough due to what I think was a severely strained and/or torn ab muscle that plagued me for over ten months (still not 100%). But, by and large, I am consistent with my core work, push-ups and dumbbell exercises. At varying times of year, I use quality workouts to help with strength, speed and efficiency. This includes tempo runs, hill repeats, mile repeats, track intervals, etc. If all you do is LSD (long-slow distance), you will never get better, and over time will go stale and burn out due to lack of interest. Quality, for me, keeps running interesting. That said, I occasionally get lazy and do LSD runs every day, but usually, through self-awareness, I'm able to get out of the rut and reintroduce quality. In every single run, I always start super slow. Most of time, this is because I run with my dog in the first mile. He's a golden retriever and not too fast, so in the first mile of my run I'm usually going at 10-11-minute pace. Once I bring Nick back to the house, I find that I'm sufficiently warmed up and can then get after it. I think that, when you go out too fast and don't allow for a warm-up, you are subjecting yourself to injury risk. So there you have it. I'm sure there's nothing in there that's groundbreaking but it's what I do to stay healthy and keep running strong.